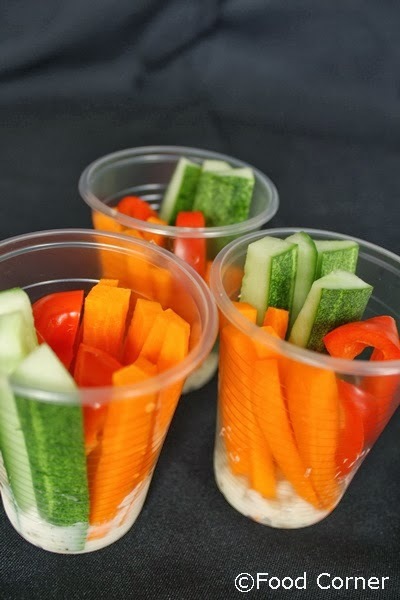 I like these Veggie cups, because it is an easy & healthy appetizer. 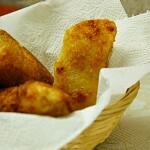 Also it suits as a vegetarian appetizer and good to prepare for a party or a small gathering. I used a mustard dip with colourful veggie cups; anyway the sauce can be changed as per the taste. Usually I prepare this for an evening as a healthy snack. 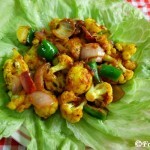 Not only the vegetables mentioned in below recipe, I use some other veggies which can be eaten raw. 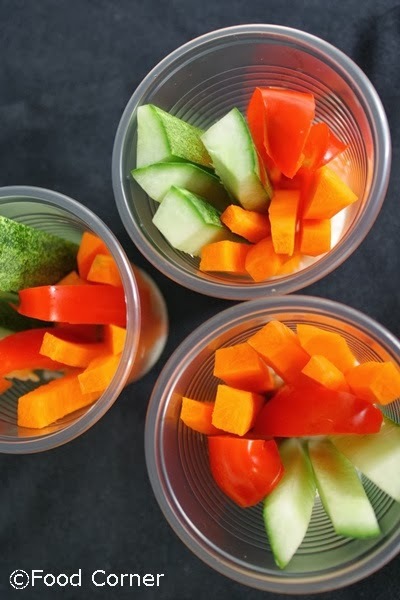 If it is a party or a gathering, I use small cups to keep the veggies as an individual serving cup, then it is easy to serve and it looks pretty! Wash and cut/slice veggies accordingly. To keep the veggies look fresh, simply cover the veggies with a damp paper towel and plastic wrap and keep in the fridge till you serve. In a small bowl, mix mayonnaise, and mustard together. Serve the dip with bell peppers, cucumber and carrots. -put reasonable amount of the dip into each serving cup. How about you? 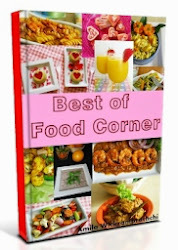 Do you like vegetarian appetizers and snacks? I think they are healthier to consume more. What is your idea?Please comment below. 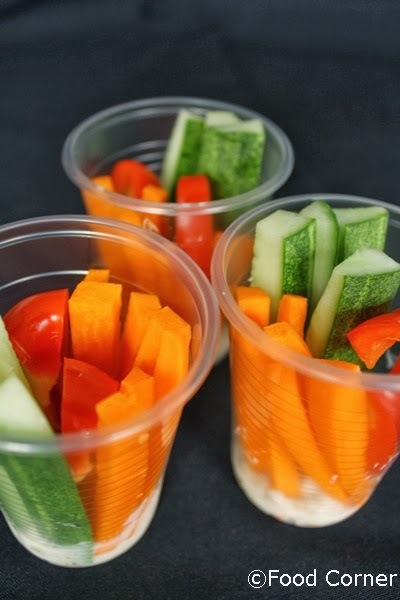 Superb looking veggie cups..I can finish them all. looks very colourful. 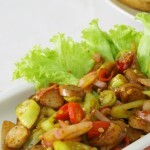 Its simplicity yet its so alive with the colorful veggies and the anyone can make sauce. 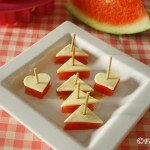 Healthy snack to munch on any time of the day; that too with a yummy dip. Love it. such a good way to eat veggies, lovely!!! 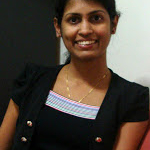 Hi Amila! I’m stopping in from Let’s Get Real today. You have a wonderful idea here. 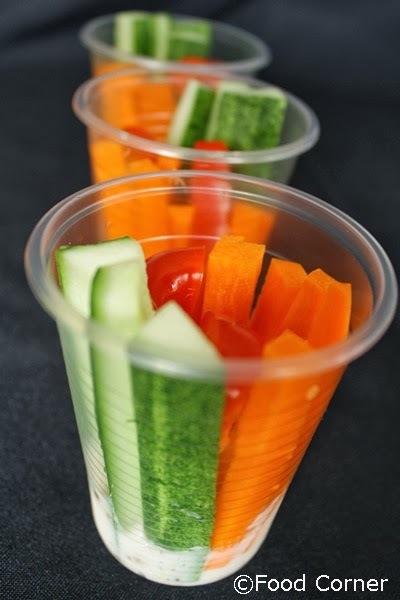 The small size of the vegetables and the dip in the cup is a great idea for children’s parties…………we adults would like it as well. The mustard dip sounds really good. I’ll have to try it this weekend. I like this Amila! Definitely pinning. 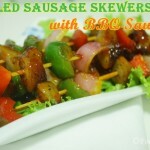 Can use this as a snack for myself and the kids…. What size cups did you use and where did you purchase them–I am having trouble finding clear plastic cups.